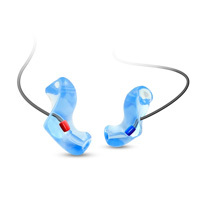 What type of Hearing Protection is best for you? 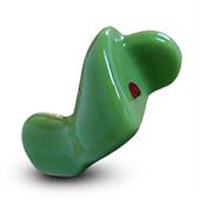 Anglian Hearing Healthcare offers all types of custom moulded protection. From sophisticated in-ear monitoring systems, electronic active noise cancelling hearing protection, passive musician’s protection, to those needed in vocational environments with hazardous noise, motorsport, and the many leisure activities with loud sounds, even those to help you sleep. In short all types of protection for any situation that could harm our hearing or impede on a peaceful night. If we do not have what you need, let us know your requirements and along with our manufacturing colleagues we will develop it. How do you know what level of protection you are actually getting? Whilst hearing protection of various types are readily available, once supplied how do you know it actually fits correctly or the amount of protection it provides? Anglian Hearing Healthcare in partnership with HearingCoach UK provides an unrivalled service that ensures the performance of your protection. With some designs of protection we are able to offer regular checks that demonstrate the investment you made in your hearing protection continues to adequately defend against hearing damage. With the increasing levels of noise we are exposed to we must implement more effective measures to prevent damage to our hearing. At Anglian Hearing Healthcare we provide solutions for all your protective needs. If you are playing in a band and require In-Ear Monitoring then we offer a range of solutions, from a basic single driver device to the most advanced system with six masterfully tuned balanced armature drivers in each earphone providing a multistage crossover. The end result of which is unrivaled sonic purity. Alternatively ‘Musician Earplugs’ (MEPs) are the answer for people who are not so much looking for in-ear monitoring as for passive hearing protection. The flat attenuation permits listening to music at a safe level. The earpieces are custom made, manufactured from a range of comfortable materials, and offered in a choice noise reduction filters that can be chosen so appropriate but not excessive levels of sound are reduced. Musician Earpieces are a good choice in hearing protectors for musicians, both on stage and during rehearsals, as well as for concertgoers. There is the option to expand the MEPs with in-ear driver upgrade. 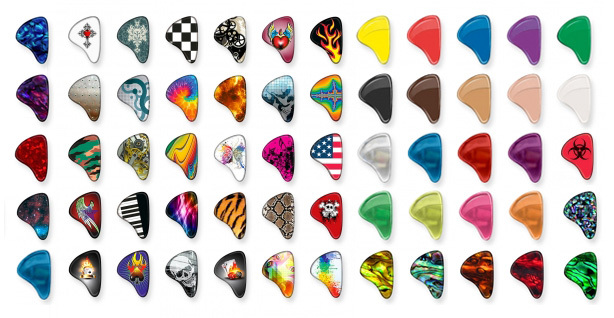 All custom moulded systems be it passive protection or advanced IEMs can be customised with your own choice of colour. The IEMs can be individualised with custom art or choose to have laser etched with your own logo. 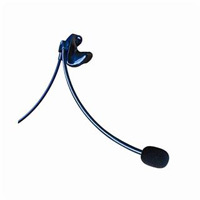 The Microcom system is a generic, low-profile boom mike system specifically designed for applications where the user may be exposed to high noise levels but must be able to use head protection in complete comfort.It is a full or half duplex communication system, depending on the application, which standard is supplied with profiled eartips. Optional is custom made with a soft flexible eartip to assure wearing comfort and to achieve an optimal attenuation. Participating in motor sports, custom molded Race InEars are the perfect solution to the problems of a noise filled racing environment. Our racing molds are used by drivers in a variety of motorsports who demand the best in high-fidelity communications when competing in today’s strenuous race course conditions. De racing moulds are very comfortable, even when wearing under a helmet. 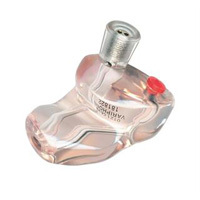 A universal miniature speaker will be placed in a custom made earpiece. Available with different kind of racing plugs. Because a good fit determines wearing comfort and the frequency of wearing hearing protectors, the Variphone is fully custom made. 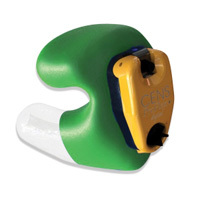 This hearing protector offers a host of features! The continuously adjustable valve allows for attenuation to be set so that the noise level is reduced to just below the safe threshold. The Variphone’s unique 2-canal design allows for quick, efficient quality checks to be carried out and repeated at regular intervals. It can be adjusted to compensate for general noise pollution. The Variphone range are the Gold Standard in workplace protection. The Variphone Soft is a new generation of hearing protection. The Variphone Soft is unique because it is the first and only fully custom made silicone hearing protection product that has a 2-canal filter module. This filter module makes light work of testing the hearing protector for functionality (leaktight test). The hearing protector has modular components and, thanks to the click-in unit with adjustable filter, attenuation can be very finely tuned. In practice that means that communication is maintained while alarms and warnings can still be heard. This hearing protector is suitable for workers who want revolutionary, durable and high quality hearing protection manufactured from a soft material. This hearing protector is measured for each person individually and that guarantees perfect fit and maximum wearing comfort. Regular motorcycle riders run the risk of hearing damage. Official measurements show that safe limits are very quickly exceeded. 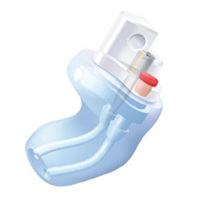 For this target group, Variphone offers the V-Sil Moto. This custom made hearing protector, which is made from a 40 Shore Silicone material, is characterized by its fit and wearing comfort under most styles of helmets. 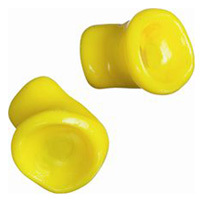 These hearing protectors are fitted with a selective filter that more than guarantees their efficiency. There is a choice of 23, 25 or 28 dB attenuation. Many people have difficulty sleeping due either to their snoring partner, unnatural work pattern or because of living in a noisy environment and it can have very real consequences for your long term wellbeing. SleepSound was developed initially for shift workers who needed to sleep during the daytime, however users reported their effectiveness at reducing the level of their partners snoring to a degree where it became possible for them to sleep soundly without distraction. The concept of any custom made item is its individuality and uniqueness to its user. Sleepsound is no exception and user acceptance is very high, each pair being individually crafted under the strictest conditions from exact impressions of the users’ ears. Constructed from a very soft durable silicone, SleepSound is cut in such a way that it can be worn comfortably within the ear all night. SleepSound is produced in yellow. Excessive exposure to impulse sound, such as during shooting practise for example, can cause irreversible hearing damage. Stopgun offers thorough protection against peak sounds, while normal spoken communication and environmental sounds are still audible. 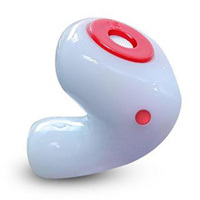 This custom made hearing protector, made from silicone material, has a filter that has been especially designed for impulse sound. The specific working of the passive filter causes this hearing protector to mainly restrain impulse sounds while it lets the continuous sound waves of communication and sounds from the environment through with gentle attenuation. Evolution in gunshot hearing protection continues with the CENS® ProFlex electronic module combined with unique multi-softness custom fit earpieces. This new unique design combines superb functionality with an eye catching appearance, and this latest development leads the trend towards obstruction free, comfortable custom hearing protection for today’s shooter. Made from flexible, medical-grade silicone material, these digital, ultra soft noise suppressors are designed to be extremely comfortable over long durations, whilst still providing the excellent suppression you expect from CENS® digital. The ProFlex digital 1 which has one standard program. 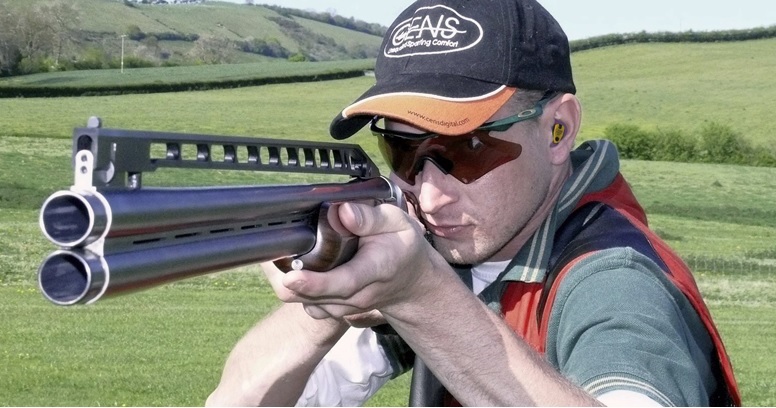 The ProFlex digital 2 which has 2 programs; one for game shooting and one for clay shooting. The Proflex competition which has 2 programs; one standard program and a mute function for optimal concentration. The ProFlex hunter which has 2 programs; one standard program and one program specified for wind noise suppression.